Perhaps another component of why credit unions are so aggressive in expanding their auto portfolios is their collective relationship with dealerships is as good as it’s ever been. 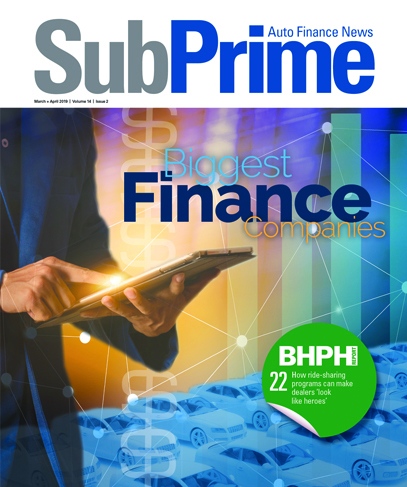 That’s the sentiment conveyed by CU Direct executive vice president Jerry Neemann when SubPrime Auto Finance News connected with him shortly after TransUnion released its annual survey of credit union executives, who expressed their optimism about auto originations and performance. Neemann based his assessment on the steady improvement during the past 20 years of CUDL, the network that now includes close to 12,000 dealerships that work with 1,100 credit unions. “What’s happened during that time is we’ve gone through a lot of evolutions. The dealership business model has adapted, and the credit union model is a very valuable partner for dealers,” Neemann said. “It gives them excellent locations to go to get paper bought. It opens more channels of comparative lending to find a home for the loan. “The additional benefit value that’s been worked on during this time is truly credit unions are a membership-based organization,” he continued about the institutions currently leveraging CUDL that now have about 45 million consumer members. Neemann explained the relationship between dealerships and credit unions function because it’s a “push-and-a-pull type of environment.” Not only are F&I managers sending applications to credit unions, but buying-assistance programs utilized by the institutions are also sending leads to the showroom. “The business model and relationships that have been created are creating that kind of volume and value for both parties,” Neemann said. Experian Automotive reported that credit unions held 16.94 percent of the auto finance market after the first quarter, representing a 7.6-percent rise year-over-year. The TransUnion survey indicated just how much credit unions want to expand their auto portfolios. TransUnion’s survey revealed that auto loans rank at the top of the list for credit union executives in terms of loan growth, focus and opportunity during the next 12 months. Auto loans were ranked No. 1 by 48 percent of credit union executives and in the top 3 (of 12 credit categories) by 81 percent of respondents. “Auto lending is one of the cores of what they do,” Neemann said. “As they build up a book of business, it’s continuing to grow. You always have run-off of your earlier loans. There’s always a need to continue originating to grow and replace your portfolio that’s running off. They’re highly motivated and strong in the market. I see our growth continuing. We will be a strong player. “Members aren’t going anyway. As part of that equation, they’re always buying cars. The credit unions are there to lend their money to the members. Both pieces are working on an ongoing basis,” he went on to say. Neemann acknowledged it’s not quite an “apples-to-apples comparison,” but he calculated that if you added together the collection origination volume and outstanding portfolio of the credit unions involved with CUDL, the figure would only trail some of the largest single auto finance market holders such as Wells Fargo and Ally Financial. To get that kind of volume, Neemann insisted that credit unions in the CUDL network perform with the efficiency of a single institution such as Wells Fargo or Ally, not 1,100 different organizations that might have varying underwriting criteria. CUDL streamlines some front-end and back-end elements so dealers can know immediately know if the deal has been purchased, some modifications need to be made or if the application has been declined. That speed of response is what J.D. Power recently found as being paramount to dealers. Neemann also mentioned the ability of CUDL’s processing solution, Smart Fund, which can allow managers to upload the entire deal jacket electronically. A credit union processor can perform quality control tasks to ensure all document are included, alert the dealership if anything is missing and complete the funding process so money is in the store account usually in about 24 hours. “Funding for the dealer as we all know is very critical. That’s about as efficient as it can get,” Neeman said.